Opioid use disorder in the United States has taken its toll on both individuals and families alike. It is a problem that is both unprecedented in America and the entire world. The U.S. only accounts for about 5 percent of the total world population, Americans use the vast majority of the world’s opioid supply. Rampant over prescribing and subsequent heroin abuse has resulted in skyrocketing death rates linked to opioid overdoses, making that class of drug the most dangerous on the planet. While health experts and lawmakers continue to work together in putting a stop to the insidious problem, it is worth pointing out that there are other serious costs associated with the epidemic—such as the burden that it has put on the healthcare system. Insurance providers in this country have long had a bad rap when it comes to paying for claims related to mental health. Up until the Mental Health Parity and Addiction Equity Act and the Affordable Care Act, it was extremely difficult for people with a history of addiction to get insurance and/or coverage for mental illness. Between 2007 and 2014, there was a thirty-fold increase in insurance claims related to opioid use disorder diagnoses, according to the article. The average patient costs insurance companies $3,435 per year, compared to $19,333 for patients with opioid problems. "That really shows the stress on the health system and the impact on the individuals," said Robin Gelburd, president of Fair Health, a nonprofit databank that provides cost analysis to the health industry and consumers. Gelburd points out that this "is a societal issue," one that require significant changes be made. "Are medical school curricula adjusting to recognize the growing need for these services? 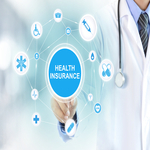 Are insurers increasing the number of providers in their networks to ensure sufficient access? Are consumers being educated? It's an issue that has to be dealt with in all quadrants."